NationaLease held its 2017 Spring Business Meeting in conjunction with TRALA on April 3-4 at the Hyatt Coconut Point in Bonita Springs. Jane Clark, Vice President of Member Services, NationaLease, started the meeting by welcoming everyone and introducing Dean Vicha, President, NationaLease. Dean shared a preview of the topics and speakers and commented on the highlights of 2016 before introducing the keynote speaker, Ken Langone. Ken, who is the co-founder of Home Depot and former director of the New York Stock Exchange, shared his insights as a business and political insider into what’s ahead for business in the coming days and years, and the impact he believes the Trump administration will have. He expressed his optimism for the next few years, along with some of the wisdom that helped him become one of the most successful investors of our time. Following Ken’s remarks, Dale Tower, Vice President of Remarketing, NationaLease, shared his insights and suggestions on selling used trucks and spec’ing new trucks to get the highest possible resale value in today’s challenging used truck market. The first day’s session ended with a NationaLease Town Hall Meeting, where Dean Vicha; Jane Clark; Joe Puff, Vice President of Truck Technology and Maintenance; Joe Gallick, Senior Vice President of Sales; and David Nitzsche, Senior Vice President of Supply Management, discussed current issues, challenges, and opportunities for NationaLease and its members. Jane welcomed the group back on the second day and introduced Sean Kilcarr, Executive Editor, FleetOwner Magazine, who discussed some of the top transportation trends to watch in 2017 and beyond. Rich Leibfried, President, RJL Insurance Services, followed with a presentation on common mistakes and gaps in insurance coverage, as well as opportunities for members to save money and minimize risk. The final speaker of the day was Sandeep Kar, Global Vice President-Mobility, Frost & Sullivan. Sandeep supplied an in-depth look at the technology that is changing the way transportation companies do business. Autonomous driving, mobile freight brokering, big data analytics, value trucks, global platforms, advanced powertrain technologies, developed and developing market growth opportunities, and recalibration of CEO’s strategies in the post-recession flat-world global truck eco-system are just a few of the topics Sandeep discussed, as well as how members can tap into these new and future technologies to better serve our customers. 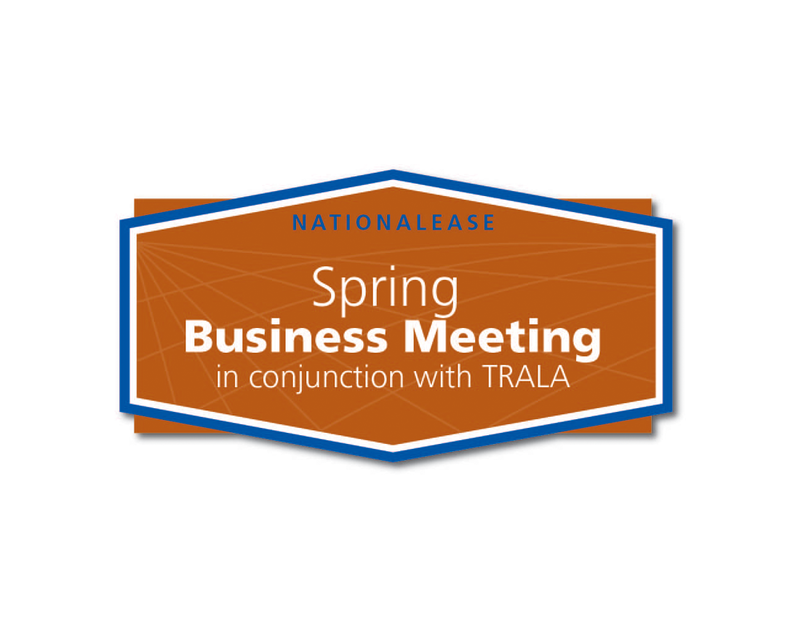 Next year’s NationaLease Spring Business Meeting in conjunction with TRALA will be held on April 9-10, 2018, at the Fairmont Scottsdale Princess. Bridget Bradshaw is the Marketing Manager for NationaLease and oversees the marketing of NationaLease meetings and events, the NationaLease NEWS, Webinars, and various other projects.